A sweet, gooey dessert grilled cheese oozing with chocolate, peanut butter, bananas, and melted marshmallows. I have several favorites when it comes to food. I am, after all, a foodie. Cheese, however, is in an entirely different category. The word “favorite” doesn’t even begin to describe my adoration for cheese. I’ll take any excuse to create a lavish cheese platter. If there is such a cheese platter present, I’ll be the first in line with my plate, ready to gorge myself with several helpings of cheese. When it comes to cheese, boundaries become obscured and limits are breached. I will eat all the cheese. Squirrel mentioned the phrase too much cheese once, and only once. I quickly nipped that in the bud. I can’t allow that kind of talk in this house. Who knows what could happen if that sort of information were to slip into the hands of the wrong person. I can’t risk it. Psht, too much cheese! No. Such. Thing. Today the #SundaySupper team is partnering with Gallo Family Vineyards to celebrate grilled cheese. Melted, gooey cheese sandwiched and oozing between two slices of fresh bread. Grilled cheese is extremely versatile. The other day I spread left over soft garlic and herb cheese on homemade bread and topped it with thick slices of mozzarella. I grilled it on each side until the mozzarella seeped from the two slices of bread. I paired it with homemade roasted tomato soup. Just a little something I threw together on a rainy Saturday. Today I’m going a different route and making dessert grilled cheese to pair with Gallo Family Vineyards’ Café Zinfandel, a sweet and fruity red wine with a subtle effervescence. You guys, this dessert grilled cheese is ridiculous. First, I used fresh bread. I woke up extra early and baked a loaf of simple white bread. Fresh bread will always make a better grilled cheese sandwich. If you want to get a little fancy, you can make or buy a fresh loaf of brioche bread. I smeared one half of the bread with a mixture of cream cheese, peanut butter, and honey. I topped it with thin slices of ripe banana and a handful of mini marshmallows. I spread the second half of the bread with a generous scoop of chocolate hazelnut spread. I then slapped the two halves together and seared each side in a pool of butter until perfectly golden brown. Sweet, crispy, and oozing gooey deliciousness. The mallows melt to form a sweet, sticky layer that coats the banana slices and marries the two slices of bread. The cream cheese adds a slight tang that pairs perfectly and balances the sweet chocolate hazelnut layer. Once cut in half, there’s no controlling the sticky ooze that seeps out and creeps down your fingers as you devour the sandwich. 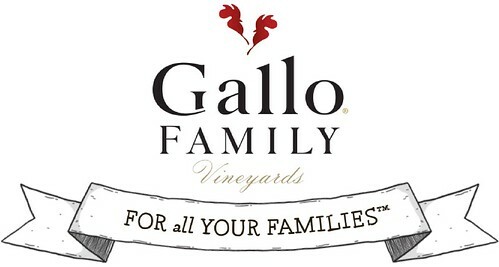 Enjoy with Gallo Family Vineyards’ Cafe Zinfandel. You can follow Gallo on Facebook, Twitter, and Instagram. Click here to find a Gallo retailer near you. In a small bowl, add cream cheese, peanut butter, and honey. Stir to combine. Spread cream cheese mixture on one slice of bread. Top with banana slices and mini marshmallows. Spread chocolate hazelnut spread on the other slice of bread and place it on top of the slice with bananas. Heat 1 tablespoon of butter in a sauté pan over medium-low heat. Place the prepared sandwich in the pan. Cook for 2-3 minutes on each side, or until golden brown. Slice the sandwich in half and serve warm. oh my gawd, I LOVE this grilled cheese!!! So sweet, decadent and inventive!! Cream cheese was the perfect choice for this funky sandwich, Jennie! I love the combo! This is just too much fun!! Love the creativity. Over-the-top awesome! Just love how creative your grilled cheese is…I’ve been drooling at your sneak peeks…now to the secret is out! This looks so gooey, delicious – LOVE! And it would pair perfectly with the Cafe Zinfandel! Thanks, Alida. The wine was so good with this sammie. Oh, wow, this dessert version looks crazy good!!! Who can resist cream cheese AND marshmallows???? Certainly not me :) Thanks, Liz. Oh dear heavens! Your sandwich looks to die for!!! I have nothing to say except get in my belly!! Forget the kids….I want this for me!!! I love that the marshmallows marry the two slices of bread…great analogy!! NO SUCH THING AS TOO MUCH CHEESE!! Grilled cheese is a current new obsession. and girrrrrl….DESSERT grilled cheese?! ohhh yes. Esp when you stuff it with like everything delicious in the woooorld!! Exactly, Kayle. You know what’s up. Now this is a dessert grilled cheese to swoon over! Looks incredible! Up, my friend. We go up. Thanks, Movita. Oh, my! Since it’s the weekend, may I have three sandwiches, please! Three gooey sandwiches coming right up. Thanks! Heaven on a plate as far as I’m concerned. Or actually, even more heavenly while eating this incredible sandwich. Stop it! Just stop it! You are absolutely killing me with this delicious mess. I want a dessert grilled cheese right this minute. I am definitely down for this dessert grilled cheese, but with your flavor combination I think I will have to elbow my 9 yo to get to it first. She would love it as much as I do! Great idea! This looks fantastic! love the gooeyness! OH MAN! I love the funky monkey combo and using cream cheese and peanut butter together for a gooey grilled cheese is a simply fabulous idea. Glad you cleared up that “too much cheese” business before it got out of hand. Whew! This looks like heaven in between two slices of bread! And with a glass of wine? YES! There’s. O such thing as too much cheese. And you’ve ruined me for life with this deliciousness. I want it everyday of my life. My entire family would go crazy over this! I can’t wait to make this! Yummy! You just redefined sandwich for me. Can Subway get a hold of this idea?? This looks absolutely finger licking amazing! Nutella and peanut butter and honey and bananas. You are an evil genius, Jennie. But my lunch rotation thanks you for it! I love the idea of making grilled cheese for dessert! This looks amazing! You get all the cheese? Au contraire! I will arm wrestle you for this sandwich! So glad we had some creative people like you doing dessert this week! Lovely photos, Jennie! Never too much cheese! Love the idea of a dessert grilled cheese! Oh dear heavens. I haven’t eaten in two days (long story), and this week’s theme of GRILLED CHEESE is torturing me – my favorite! With each one I see, my stomach is saying “this one! No, This one!!! Noo..THIS ONE!! !” Oh yeah….THIS one! i can’t even think about this right now: TOO DELICIOUS. brain exploding. I am DYING for this!! What a delicious sinful sandwich, come to mama beautiful! SWOON! Oh, my stars! Jennie this grilled cheese sandwich is off…the…chain. So incredibly creative! I’m with you…no such thing as too much cheese. I went thru the same thing with hubby when we were first married. Omelets and “kitchen sink” scrambles for breakfast needed “pools of cheese”, as I liked to say. He finally learned how to make breakfast right with that visual cue in his head. ;) Thanks for sharing and have a great week! This sandwich is everything good and holy in the world. Thank you! Somebody slap me because I must be dreaming! This is heaven on a freaking plate, Jennie! Gaaaaaaaah! My brain is short circuiting over the amazingness. I love your photos – that ooey gooey creamy flavourful crunchy sammich looks ridiculously delicious. I love that you got up early to bake a fresh loaf of bread for this masterpiece. It deserves nothing less! Wow — it’s like S’mores, but with all my favorite ingredients! And I’m sure that the fresh, homemade bread made all the difference. (I like the bread on my grilled cheese to be toasty and crunchy on the outside, but soft on the inside). Perfect snack to start the day, yummy! Be still, my heart! This could be dessert, but I think I want it for breakfast too! ;) Oh, the gooey goodness! Pingback: Brie, Ham, and Blackberry Grilled Cheese Recipe - Healthy. Delicious.